Are you struggling to choose the right piece for the beginning of fall? A white shirt is your cup of tea! Simple white shirts are a basic wardrobe staple in girls’ styles for wearing business and casual. So, how can we give the white shirt more possibilities and makes it more stylish? I’m going to show you how to wear a white shirt and style it five different chic ways for fall. 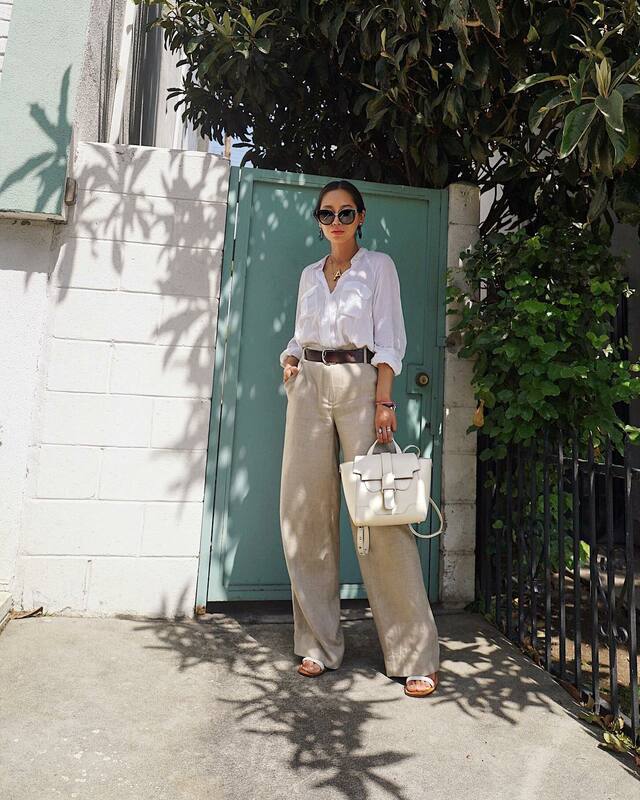 The first look is to wear a white shirt with a pair of flaxen pants and detail a belt. This look is always associated with those relaxing summer afternoons. I feel like the belt between the waist add some sophisticated touch and being one bright spot of the outfit. Your mom jeans are in effect styling every outfit. 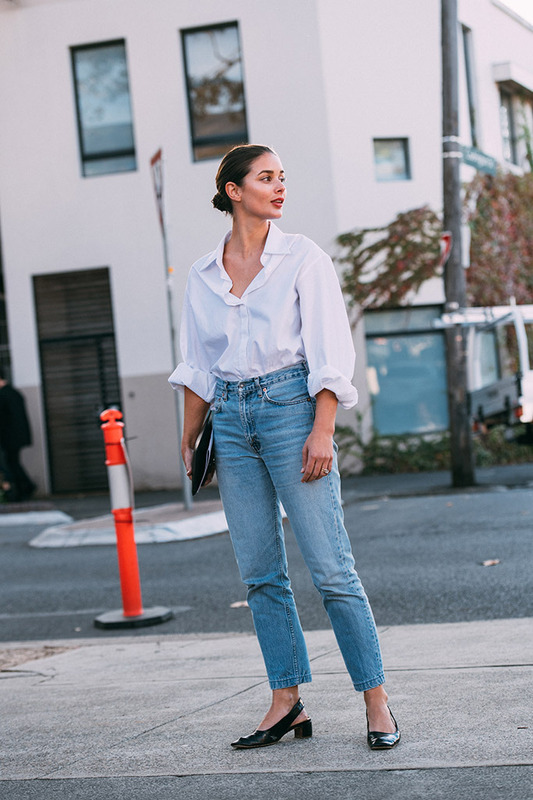 You can never go wrong with a pair of mom jeans and a white shirt for work or daily outfit. Whether blue mom jeans or white mom jeans, there’s not much to ask for the body size. I prefer pairing a white shirt and a pair of mom jeans with kitten heels so that I feel free at the office. Follow the shorts trend again at the end of summer and early autumn. No one says that hot shorts should lie hidden in the back of the wardrobe in fall. The rule is like mom jeans’: choose the color of your favorite hot shorts because white shirts match everything ( yes, even your printed shorts). If there are some printed skirts that are the result of your impulsive spending remain idle, the most easier way to wear them is to add a white shirt, which can offset the femininity of the skirt. It’s practical to wear unexpected pieces to create a contrast. If the office is the place where you spend the majority of your time during the day, consider taking a black suspender into account. Compared with denim suspenders, black suspenders tend to be more professional, which is ideal for the dull office. Besides, wearing a white shirt with a black suspender is more interesting than wear black wide-leg pants. In short, white shirts have endless possibilities and they are a perfect way of juxtaposing each piece in your wardrobe whilst still giving you a focal point to the outfit.